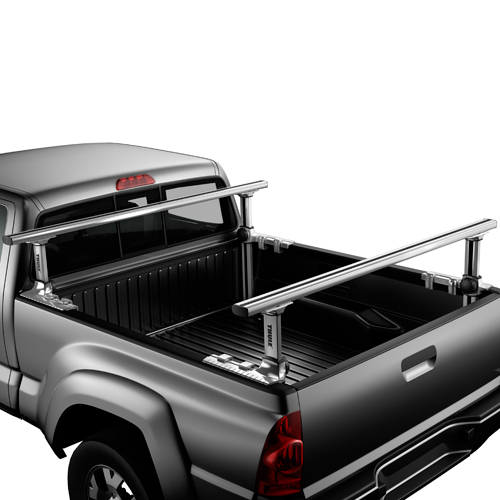 The Thule 500xt Xsporter Pro Silver Aluminum Pickup Truck Racks are height adjustable and provide the ultimate in versatility, aerodynamics and good looks on your pickup truck. The Thule 500xt Xsporter Pro is ready to exceed all of your carrying expectations and needs. The Thule Xsporter Pro is designed and constructed with a rust-proof, aluminum frame, has infinite height adjustments, and utilizes Air Trip Wind Diffuser Technology to help reduce wind drag, wind noise, and improve fuel economy. Air Trip Wind Diffuser Technology is integrated into the rubber non-skid strip which installs into the top of the aero crossbars on the Thule Xsporter Pro. The Air Trip Wind Diffuser redirects and disrupts airflow for an ultra-quiet ride. 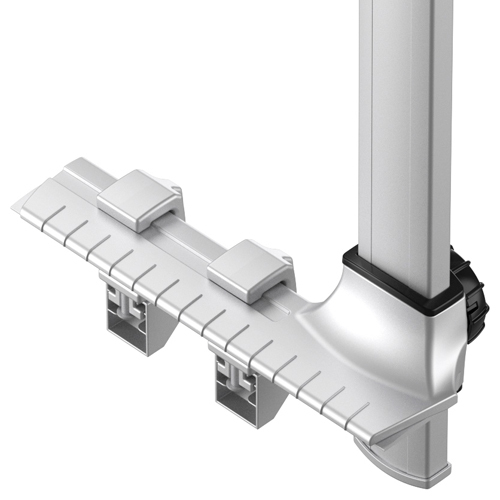 With Thule's integrated c-clamp technology, installation is simple and quick. Plus, best of all, no cutting or drilling is required. Simply clamp the Thule Xsporter Pro to your truck's bed rails and load up. 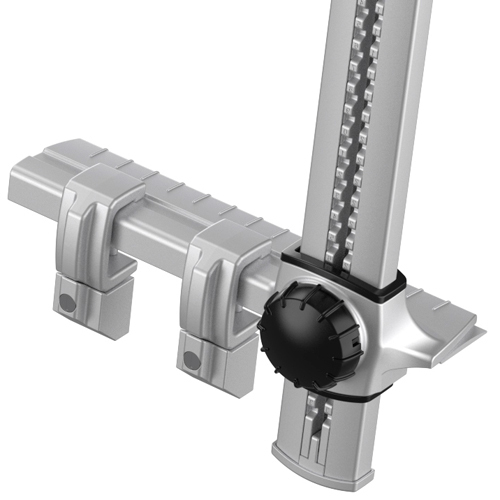 The 500xt includes tool-free load stops to help secure and stabilize loads. 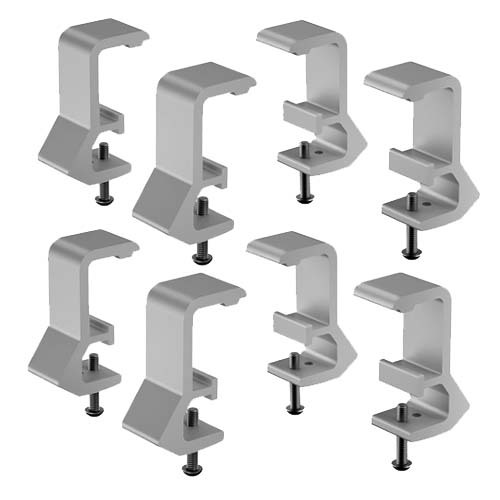 The Xsporter Pro is equipped with SecureLock to lock the rack to your truck bed. 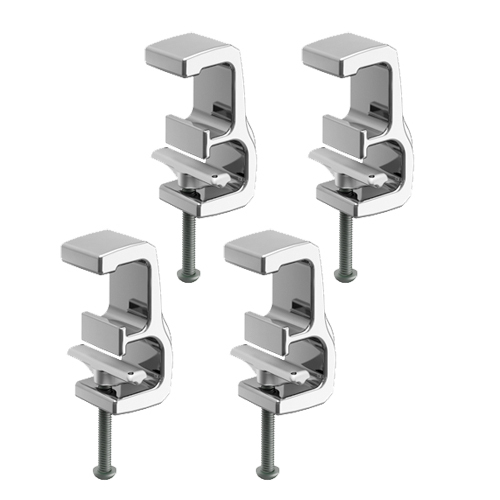 SecureLock includes four matching One-Key Lock Cylinders and two keys. The Xsporter Pro 500xt has a stylish, reinforced aluminum design that provides the strength to carry up to 450 lbs of gear. Carry kayaks, canoes, stand up paddle boards SUP, windsurfers, surfboards, bicycles, cargo boxes, skis, snowboards, ladders and more. 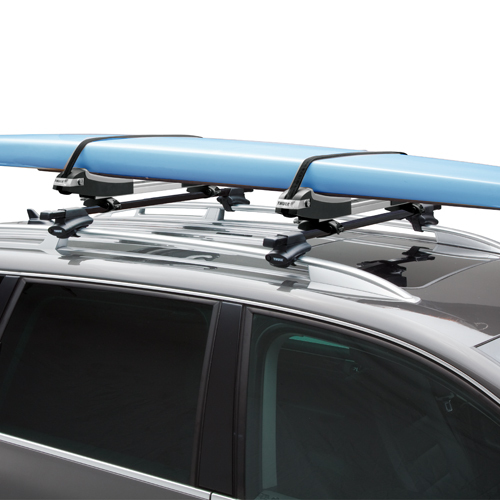 Four Thule LoadStops are included to help stabilize and secure your load. XK4 Adapter Kit is required for 2016+ Toyota Tacoma (sold separately - see below). 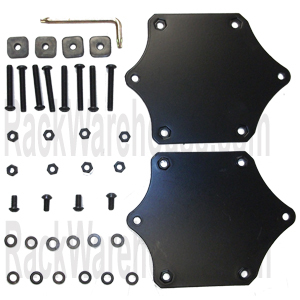 XK3 Adapter Kit is required for 2005-2015 Toyota Tacoma (sold separately - see below). Many of Thule's assorted carriers and attachments may be mounted to the 500xt Pro for better gear security and protection. 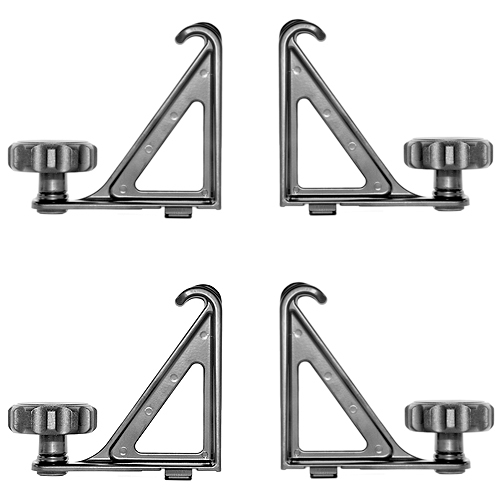 Thule 834 Hull-a-port and 835pro Hull-a-port Pro will require the Xadapt11 Kit to attach to the Xsporter crossbars. 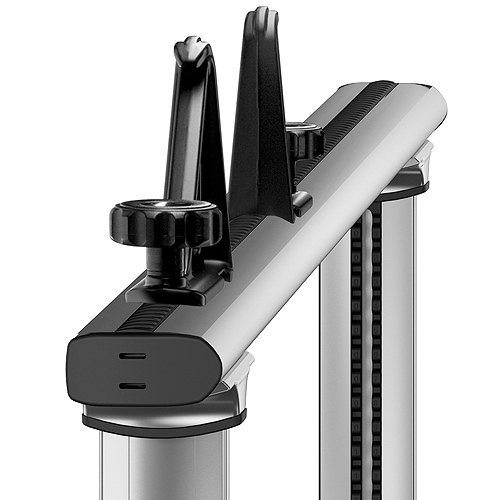 The Thule kayak saddles will require Xadapt3 Kit, which provides longer bolts to attach to the Xsporter crossbars. 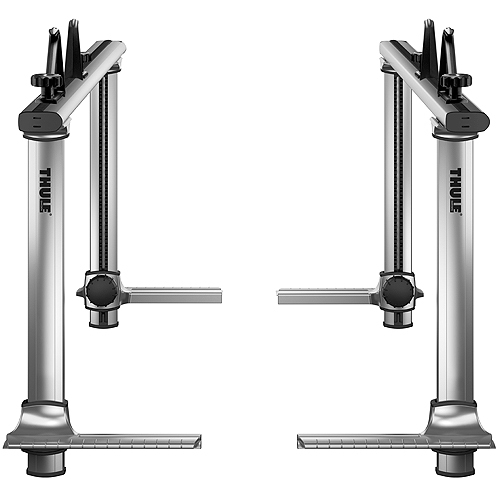 Please check the Thule fit guide or call us at 800 272-5362 with any fit or accessory fastening questions. 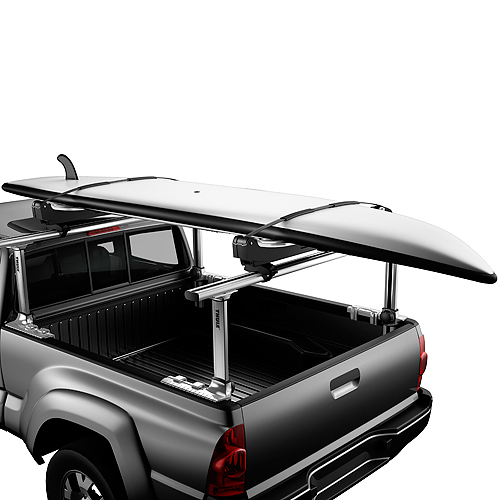 Note: Extra short bed pickup truck configurations may prevent the Thule Xsporter Pro from being lowered to the down position. The extra short bed may also prevent the rack from being mounted all the way out to the ends of the bed rails, thus shortening the distance in between the front and back uprights. All bed track systems, except on Toyota Tacoma, must be removed. The Thule 500xt Xsporter Pro is not compatible with Stepside or Flareside pickup trucks.